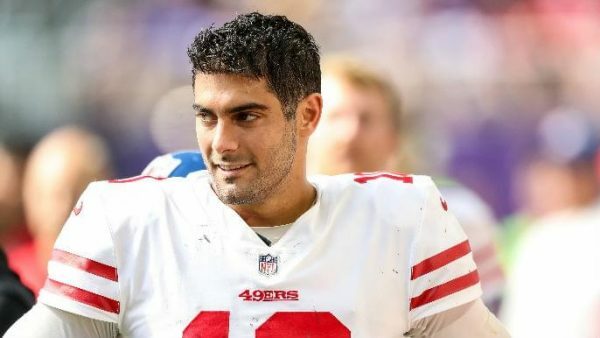 49ers head coach Kyle Shanahan says he is “very confident” that quarterback Jimmy Garoppolo will be ready to play by Week 1 of the regular season according to Ben Volin of the Boston Globe. This matches up with earlier reports that Garoppolo is ahead of schedule in recovering from the torn ACL he suffered in Week 3 of the 2018 season. “He’s right where they say he should be, and I look out my window, and it looks like he can play,” said the third-year head coach. The 27-year-old completed 59.6 percent of his passes for 718 yards and five touchdowns before his injury last year. 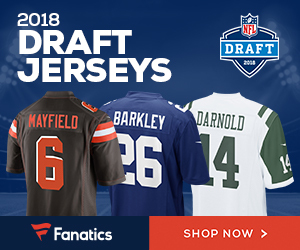 Be the first to comment on "San Francisco 49ers 49ers Coach Kyle Shanahan ‘Confident’ QB Garoppolo Will be Ready for Week One"